Extensions for Google Chrome and Mozilla Firefox are not removed automatically with the application. For the guides on removing the extensions, see Chrome Help and Mozilla Firefox Help. 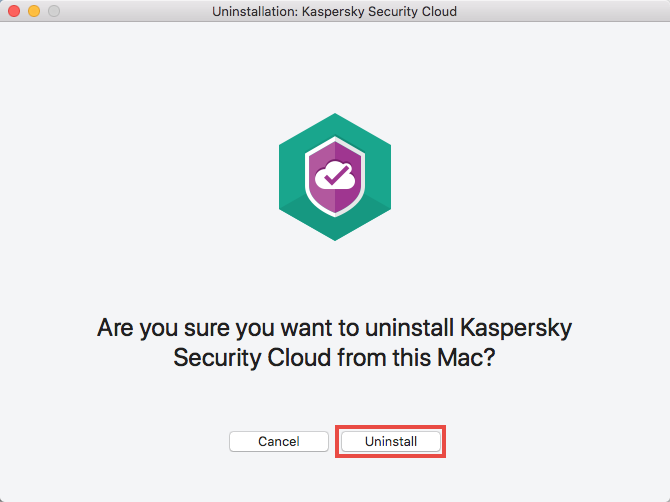 Open Kaspersky Security Cloud for Mac. 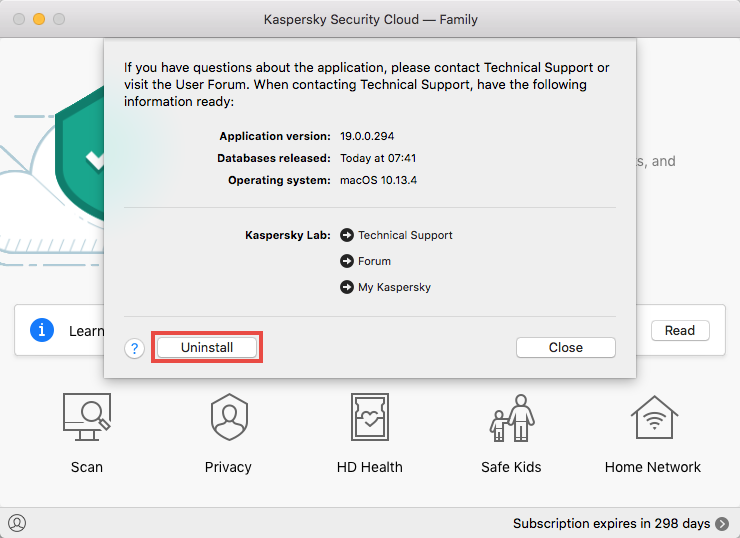 In the upper left corner of the screen, click Help → Kaspersky Security Cloud Support. Wait until the installation is complete and click Quit. 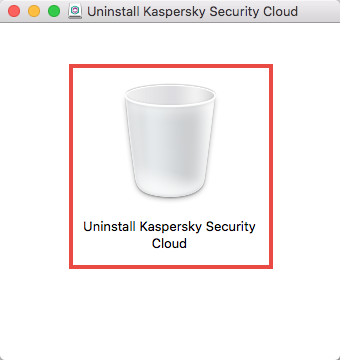 The application has been removed from your Mac. Download the saasmac19.0.0.294uninstaller.zip archive and extract the files from it. 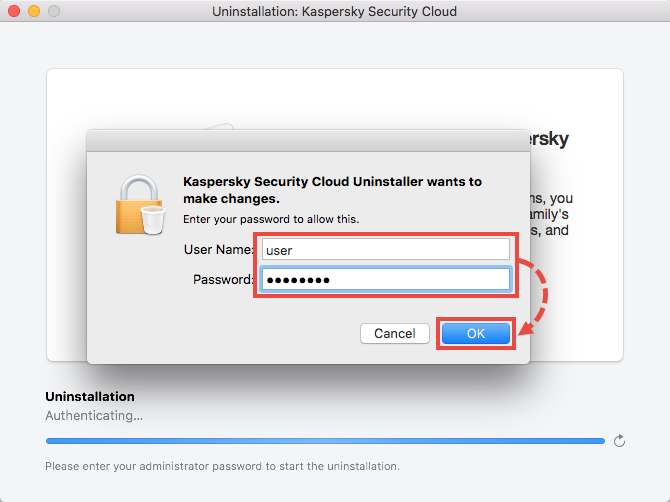 Double-click Uninstall Kaspersky Security Cloud. 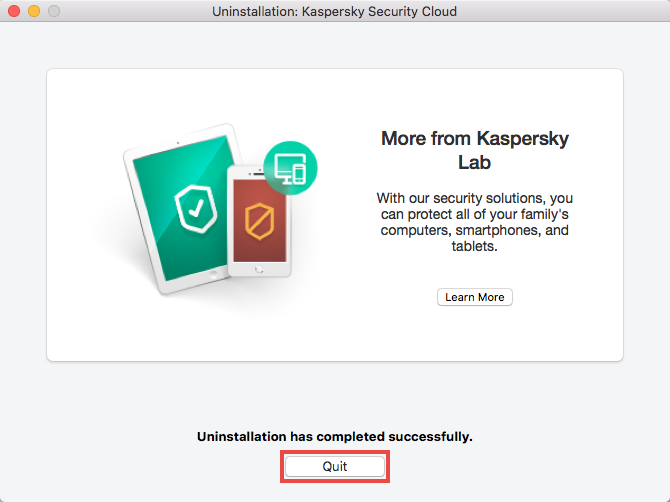 Wait until the uninstallation is complete and click Quit.